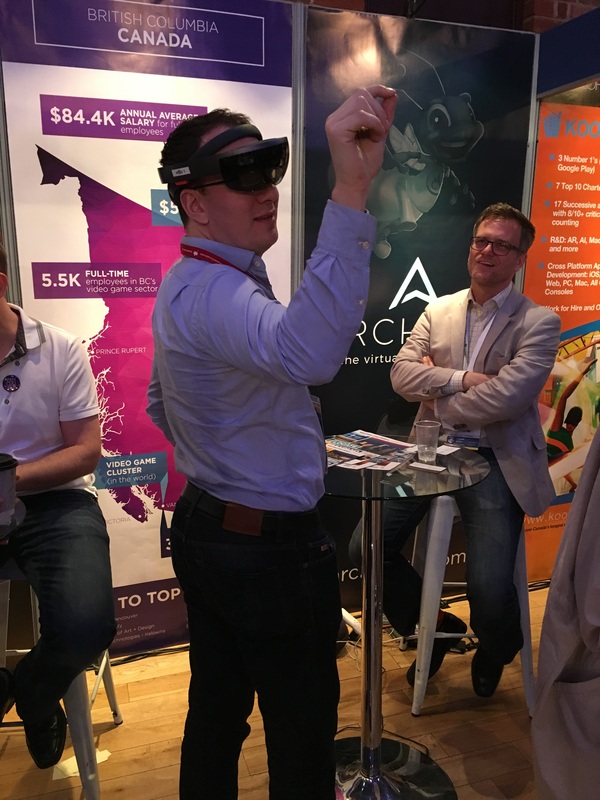 With a highly engaged series of companies from all over British Columbia making several newsworthy announcements, including the launch of a Vancouver-based $10 million fund, the Pocket Gamer Connects London 2018 (PG Connects) conference saw Vancouver and B.C. make its biggest splash yet! Play Biba! Is proud to announce a major coproduction deal with DHX Media UK and a partnership with its beloved Teletubbies IP. They will also unveil the roster of new branded games to be launched in early 2018. Mythical City Games talks blue skies and Skytropolis – the world’s first full-featured city-building simulation game designed for virtual reality! Saturn Animation’s Condor app breaks ground in the new frontier of AR/VR storytelling. Session Games is proud to announce that Red Bull Freeskiing has already been downloaded over 600,000 times. Now available worldwide for iOS and Android. A $10 million fund launched by V2 Games and Ludare Games Group issues a global call for applications. This Vancouver-based fund has a focus on mobile and blockchain gaming ventures. That’s not all, however – 10 companies in total went to PG Connects London 2018, and you can meet them here. PG Connects is THE Global mobile games show – a full-on conference organized by Steel Media, the publishers of Pocket Gamer, The Virtual Report, 148 Apps, and numerous other relevant trade publications. The Vancouver Economic Commission works to improve global market access for Vancouver businesses in several ways. Our tactics include identifying relevant international conferences that will provide sector-specific opportunities related to talent, capital and global networking, and rallying a small contingent of studio or company representatives to form delegations to these events. In addition to liaising between festival organizers and local companies, our staff coordinates group branding and displays, seeking out opportunities for local companies to speak and pitch to strategic audiences. This is our third year at PG Connects London. In the last few years, we have witnessed the conference evolve to take on not only mobile games but platforms of other kinds, including PC and VR/AR/MR. Given the enormously positive response from participating studios, many of which are now veterans to the conference, we will certainly review the possibility of returning in 2019. 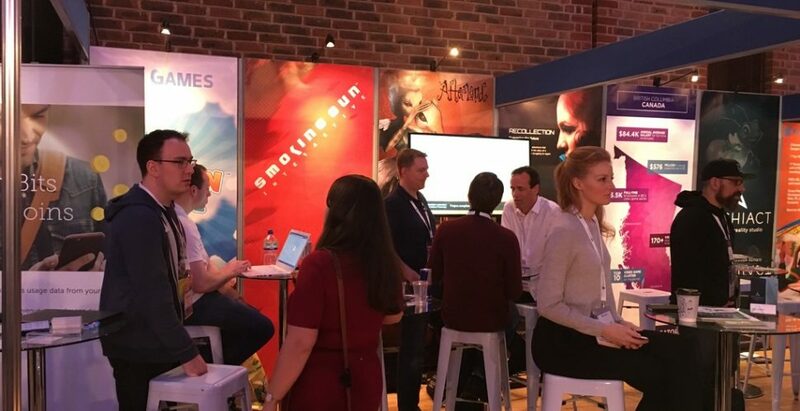 In our follow-up survey to each of the delegates, we were pleased to hear about the positive experiences each of the studios had at PG Connects and intrigued by the responses to the question of which conferences we should consider next. In the upcoming months, the Vancouver Economic Commission has another notable annual event coming up in our Digital Entertainment & Interactive (DE&I) space: the highly anticipated Vancouver Digital Careers Fair. This April, our 7th annual Vancouver Career Fair for VFX & Animation, Film & TV, and Video Games returns with renewed focus on professional jobseekers. Last year, over 2000 jobseekers, industry professionals and students flooded the Fair. As such, we have finally outgrown the space and have found a larger venue to accommodate demand for this flagship event. Interested in exhibiting? Thanks to the Fair’s continued success, we have already filled most of this year’s available spaces for educator and employer booths, so be sure to register today at www.picatic.com/vancareerfair2018. Questions about the event? Please contact Katrina Purcell at kpurcell@vancouvereconomic.com.